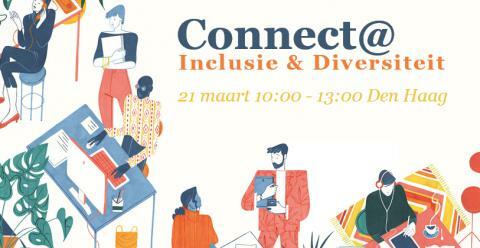 On the 21th of March the diversity team of NWO will organize a Connect@ event. This event will be held in Dutch. At Connect @ Inclusion & Diversity our main focus is awareness. Are you aware of your blind spots? An expert speaker from ECHO, expertise center for diversity policy, will explain everything about the concepts we use in the context of diversity. Do we all understand what we are talking about, or do we actually have different ideas about what inclusion is? We will also discuss how inclusive NWO and its policies are and in which areas there is still room for improvement. In addition, we will introduce the members of the diversity team and they will tell you what part of the diversity implementation plan they are responsible for. Do you understand/speak Dutch and would like to come? Please sign up through this link and mark the 21th of March in your calendar.